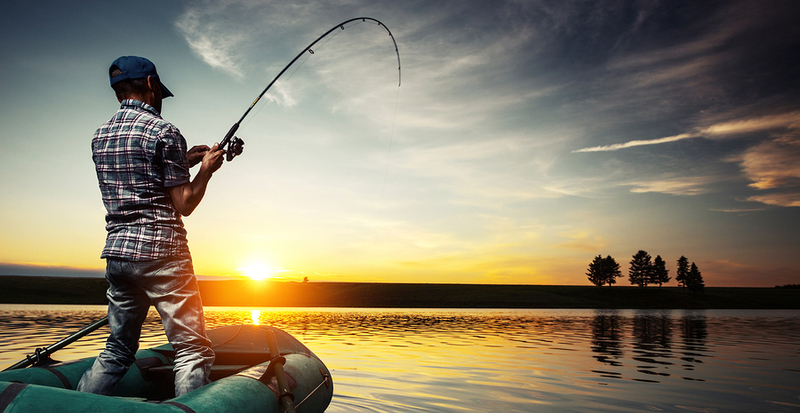 Learn from Local Fishing Pros at the Bass Pro Shop February 21 | Joe Hayden Real Estate Team - Your Louisville Real Estate Experts! Anyone can become a pro at fishing, but you need to know where and how to get started first. Listen to the pro seminar at Bass Pro Shop, and you’ll know exactly what you need to know to go start fishing. If you’re new to fishing, you won’t want to miss this seminar from a fishing pro at Bass Pro Shop. You’ll find out what you need to know to get started, and you’ll find out where you can go to enjoy local fishing. Louisville has many beautiful places to catch fish, and this hobby gives you lots of opportunities to go see them. Go to the Bass Pro Shop at 951 E. Lewis and Clark Parkway in Clarksville. That’s right across the bridge from downtown Louisville. The seminar starts at 11 am, and when you’re done you may want to check out the Falls of the Ohio. You can fish at this area right along the waterfront, and lots of people from Louisville drive across the bridge to come here and do exactly that. When you live in or around downtown Louisville, you’ve got quick access to all the stuff you can find across the bridge in Indiana. Downtown Louisville’s trendiest neighborhood right now is NuLu, and you’ll see why if you stop here after your day of fishing. NuLu is the new Louisville, and you'll see all sorts of new stuff here when you go. NuLu is full of happening little night spots, amazing restaurants, trendy stores and places to view beautiful art. Even if you just come to NuLu to people-watch, you'll have a good time here because there's so much to see. That's part of the charm of this trendy neighborhood: it also pays homage to the best elements of the past as well. This area is also known as the East Market District, so there's plenty of history here if you look for it. There are several historic buildings still in this part of town, right next to downtown Louisville. People want to live here for all kinds of reasons, but the best one is the housing. This is where you go if you want to live in a classy city condo with original hardwood floors or create a custom-built home suited just to you. This is one of Louisville's most exciting communities, and that's why so many people want to live in NuLu. Discover some of the charms of the downtown Louisville area this February, because where else can you find great fishing and trendy shopping just minutes apart?